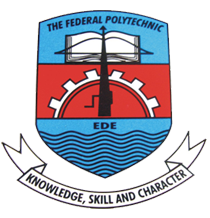 Federal Polytechnic, Ede application forms for admission into National Diploma (ND) Part-Time, National Diploma (ND) Daily Part-Time and Remedial programmes for the 2018/2019 academic session are now on sale. Federal Poly Ede ND Daily PT and PT admission forms are currently available for purchase online. Applications are invited from suitably qualified candidates for admission into ND (Part- Time), ND (Daily Part Time) and Remedial Programme of the Federal Polytechnic, Ede, Osun State for the 2018/2019 Academic Session in the following courses. Before you proceed, check: Federal Polytechnic Ede Courses, Admission Requirements. Federal Polytechnic Ede Available ND Part-Time Courses. How to Buy Federal Polytechnic Ede ND Part-Time & Remedial Form. Application forms for ND PART TIME AND DAILY PART TIME Progammes attract Ten Thousand Naira (N10,000:00) only while Application form for the Remedial Programme attracts Five Thousand Naira (N5,000:00) Only. Successful completion of the programme will lead to admission into any of the programmes run in Polytechnic. Closing Date: Sunday 28th October, 2018 (11:59pm). Pls can I use my nabteb results…from a mechanical department and seek admission into Electrical engineering department?